"I didn't even know what an open letter was until that got posted." Amusing as it was, some commentators were upset at their suggestion that female band members were used as some groups´ “golden ticket” and that it failed to lay out any solution other than “f**k rite off”. Aside from their trusty Boss pedals, Liam relies on a Squier Jaguar and Laney amp (both from the 90s), while Goldy employs a 70s Orange OR80, plus an idiosyncratic Korean Squier from the early 90s. 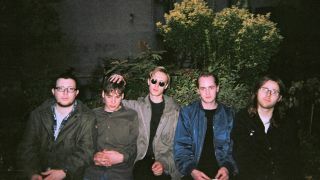 For more information visit the official Eagulls website, or connect with the band on Facebook or Twitter.